We provide Land Registry title documents such as the Title Register, Title Plan and Conveyancing Deeds, and we also provide Environmental Reports. 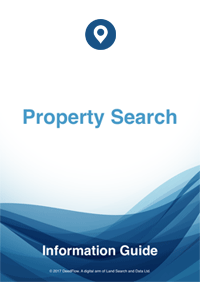 Our searches are provided to members of the public, to large and small businesses, and to local and civic authorities. Builders use our services to discover the ownership details of plots of land; infrastructure companies and local authorities use us to discover the ownership of huge swathes of land and property; members of the public use us for many reasons - to discover ownership details, to see how much a property sold for, to check if a property is freehold or leasehold, to look at the covenants and easements affecting the property, to see what mortgages or charges burden the property, or because they wish to keep a copy of their title documents at home. 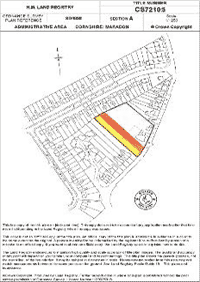 The Land Registry are the government organisation responsible for maintaining a record of property ownership in England and Wales. 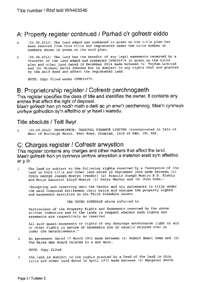 Ownership records are kept in digital format in the guise of a Title Register and Title Plan for each property, and their uniqueness is identified by a Land Registry Title Number. Each time there is a purchase or other disposition (e.g. a mortgage) a new Title Register is created, removing the redundant details and replacing them with the new details, i.e. the new owners and mortgagees, date of purchase, purchase price, any new easements and/or covenants. The Title Register and Title Plan are used by all organisations and by most members of the public at large. The most popular reasons are to keep a copy at home, to discover the ownership details of another property, to check if the property is freehold or leasehold, to see what liens are charged on the property (mortgages and charges), and to see how much it was purchased for. UK HPI data published by Land Registry © Crown copyright 2017.